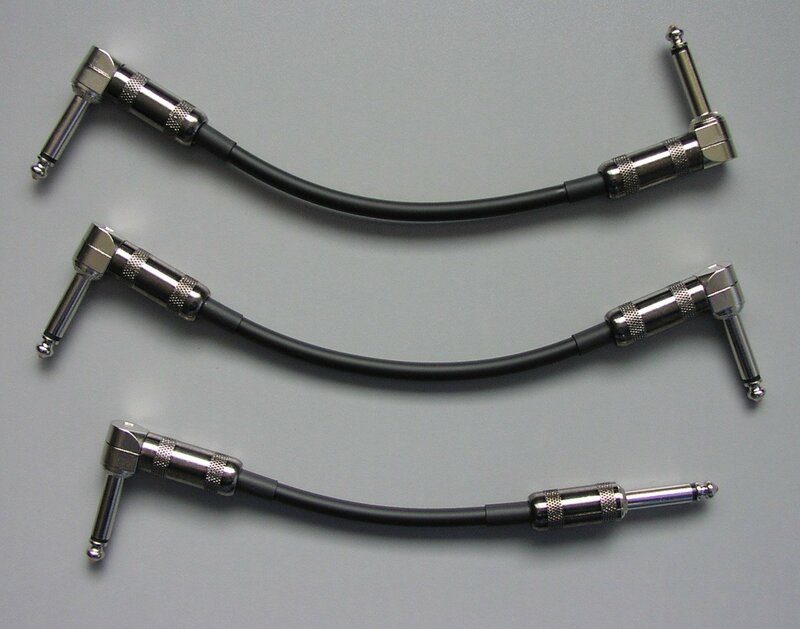 One of the options for the pedalboard patch cables is to have “opposing” right angle plugs. This means the right angled plugs can be orientated in the opposite direction along the length of the cable, viewed when the cable is laying in a straight line. Having opposing right angles make it easier in some situations to use a patch cable without having to twist it into position. In this photo, the cable on top has opposing right angles. The cable in the center is a standard right angle cable. We can also orientate the plugs a quarter turn upon request as well. For reference, the cable on the bottom has one right angle and one short frame straight plug. Right angle plug orientation does not really matter when the other end is straight.